*DRIVE AWAY WITH FINANCE FROM £79 A MONTH WITH NO DEPOSIT AND NO FEES OPTIONS! * QUITE POSSIBLY THE NICEST & CLEANEST INSIGNIA ON AUTO TRADER! 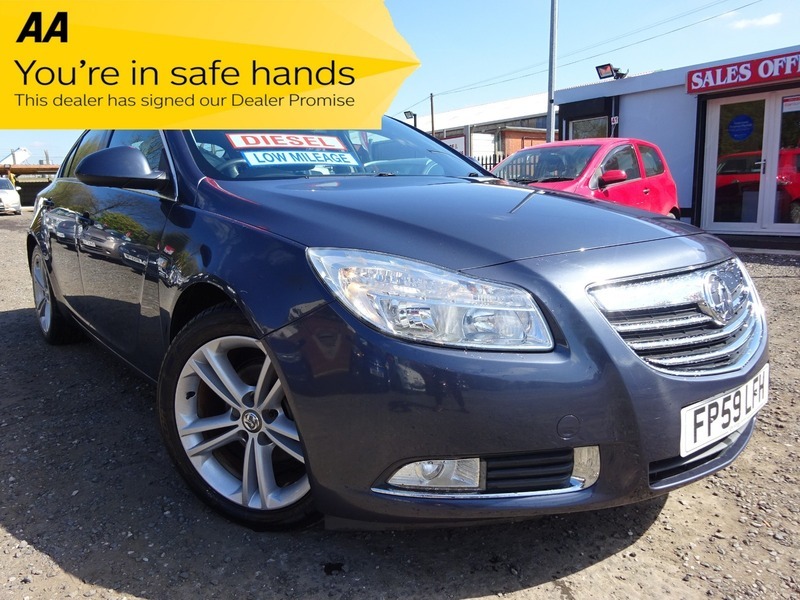 THIS CAR IS A CREDIT TO IT'S PREVIOUS OWNER AND HAS BEEN KEPT IN EXCELLENT CONDITION INSIDE & OUT! THE DRIVERS SEAT HAS ALWAYS HAD A COVER ON IT AND WE DON'T THINK THE OTHERS HAVE BEEN SAT IN! FULLY LOADED MODEL WITH SAT NAV, AIR CON, ALLOYS ETC.. THIS CAR LOOKS & DRIVES SUPERB AS YOU WOULD EXPECT HAVING ONLY COVERED 60K MILES FROM NEW! THE PHOTOS DO NOT DO THIS CAR JUSTICE AND VIEWING IS RECOMMENDED & ENCOURAGED! THIS VEHICLE COMES WITH MOT UNTIL FEB 2020, 3 MONTHS WARRANTY & 12 MONTHS AA COVER FOR ADDED PEACE OF MIND! COMPETITIVE FINANCE WITH NO FEES~WE TAILOR FINANCE QUOTES AROUND INDIVIDUAL CIRCUMSTANCES AND OFFER THE BEST RATES AVAILABLE WITH NO/LOW DEPOSIT OPTIONS!